Your broken clothes dryer can mean frustration on laundry day, or panic if you’ve procrastinated and need a particular garment DRY NOW! Some may consider dryer repair a nuisance, while others panic. Your dryer has few components, but they can stop working, leaving you with a soaking basket of clothes, or they can overwork/overheat, damaging your clothes. 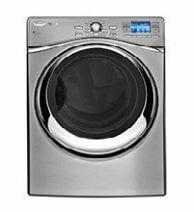 So, it is that much more important to know where the best dryer repair in Brooklyn NY is when you need it.